Stunning 4Bed 2 Bath 3 Car Like New Home! 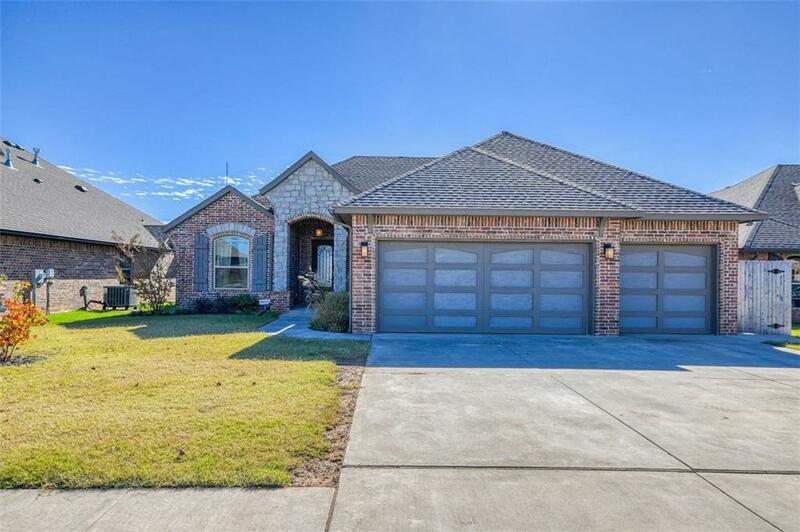 Includes Storm Shelter, Security System, Beautiful Front Door, Landscaping, Fans, High Ceilings, Lots Of Crown Moulding, MIL Plan, Covered Porch, Covered Patio, Outbuilding, Extra Concrete, Curved Sidewalk W/Heavy Wood & Iron Gate! Inside Utility With Granite Counter & Sink! Huge Open Living Room With High Ceilings & Stone Stacked Fireplace! Kitchen Includes Granite Counters, Breakfast Bar, Built/In Gas Stove, Built/In Oven And A Walk/In Pantry! Master Bedroom Is Separate & It Include A Large Master Bath With Deep Whirlpool Tub With Window, Granite Counter, His/Her Sink, Walk/In Tiled Shower & A Large Closet!